Pick of the week: “Kingdom of Dreams and Madness” (Netflix) — My full review is here. 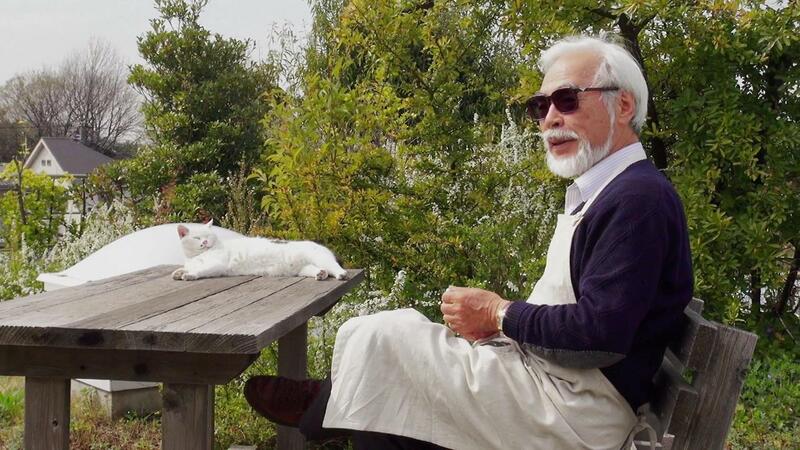 This illuminating fly-on-the-wall documentary looks inside the unassuming home of Studio Ghibli, as Hayao Miyazaki and his team of hand-drawn animators work on “The Wind Rises” and idly wonder if it will be their last film. “Police Story” (Shout! Factory TV) — For April, Shout! Factory has made a few classic Jackie Chan action movies available to stream, including this 1985 jaw-dropper featuring Chan in his prime. “My Old Lady” (Amazon Prime) — My full review is here. Kevin Kline plays a failed American writer who inherits his father’s Parisian apartment, only to find it comes with a live-in caretaker (Maggie Smith) who is tough to get rid of. Just when you think it’s going to be a fluffy “Marigold Hotel” type comedy, the movie takes a darker and more satisfying turn as Kline’s character explores his pained family history. “Bound” (Netflix) — The Wachowski Siblings seem interested in building every larger and larger worlds on-screen, but I can’t help wish they’d go back to the lean, mean genre roots of this 1996 thriller starring Gina Gershon and Jennifer Tilly. “Bloody Sunday” (Amazon Prime) — Paul Greengrass used his trademark you-are-there shaky-cam to great effect in this unnerving fact-based drama that shows what happened when British soldiers cracked down on Irish protesters one fateful day in 1972.